Celebrating their 10th anniversary MLS season, the Sounders Saturday night got the band back together. 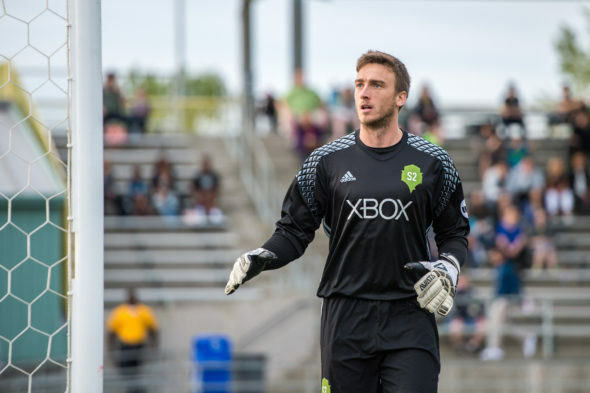 Kasey Keller, Roger Levesque, Lamar Neagle, Steve Zakuani and Brad Evans drew the biggest hoo-rahs from those in the crowd of 39,011 who went back to the 2009 launch of the most successful expansion franchise in league history. One of the more dubious customs of Major League Soccer has been the length of the season, roughly the equivalent of three Russian winters. Moments after the final goal is scored in the MLS Cup, teams load equipment trucks and head south for next season's training. 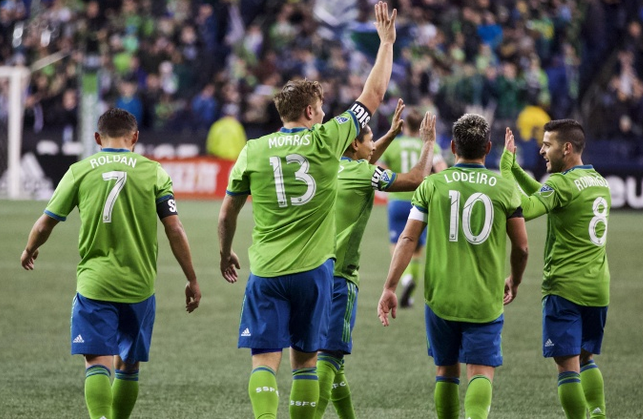 The Sounders in November devised a workaround: Lose in the conference semifinals. Yes, a bit of a bad look. But after a pair of maximum seasons that reached consecutive MLS Cups, getting a few days away is working out OK.
Sigi Schmid peered over his cards and eyed the two foes still at the table during what they had all agreed was going to be the last hand of the poker party. The players across from him stared at their cards, then at Schmid, who had been winning for most of the last hour. If he was reading the situation right, he was about to win again. He thought his three sevens would hold up. 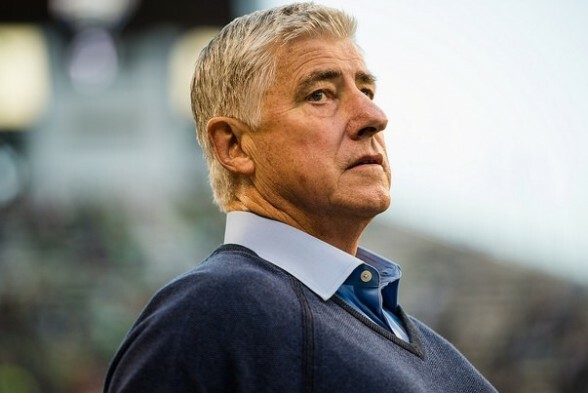 Sigi Schmid, the MLS expansion Sounders' first coach, died Wednesday, three weeks after being hospitalized at Ronald Reagan UCLA Medical Center in need of a heart transplant. He was 65. Cause of death was not disclosed. PORTLAND -- The Seattle Sounders knew it would be hard, but perhaps not this hard. 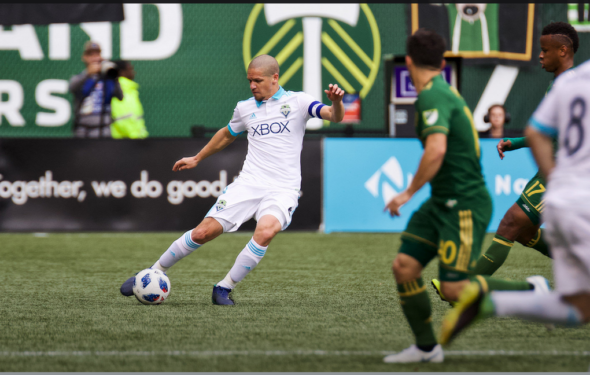 They emerged from the charged atmosphere of Providence Park Sunday night with playoff hopes intact, but physical health less so. 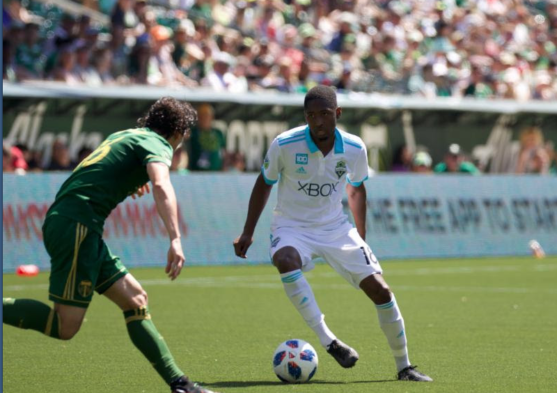 The 2-1 loss in the first leg of the MLS playoff series to the Portland Timbers included injuries to Christian Roldan, Chad Marshall and Gustav Svensson. 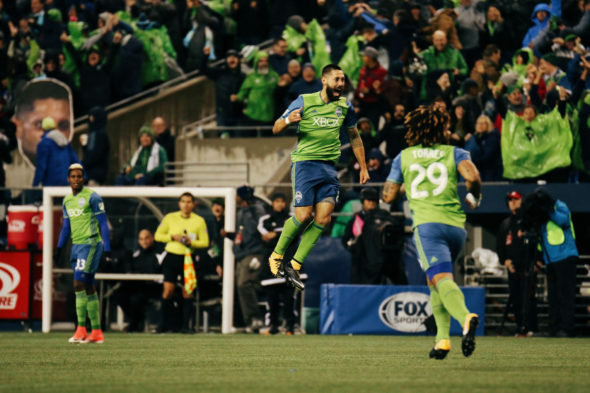 Beset by a suspension, injuries and age, and surrounded by a rejuvenated younger lineup, Sounders star Clint Dempsey, 35, announced Tuesday the end of one of the greatest careers in American soccer history. The three-time U.S. Soccer male athlete of the year, tied for the most goals by an American in international play, is retiring. 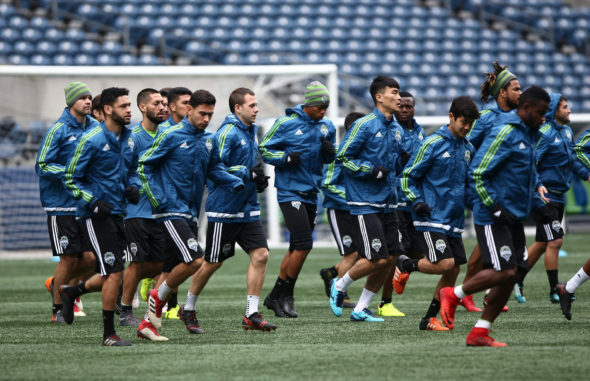 The Sounders' intense pursuit of Peruvian international Raul Ruidiaz climaxed Friday with the signing of the 27-year-old striker to a deal as the club's newest designated player. 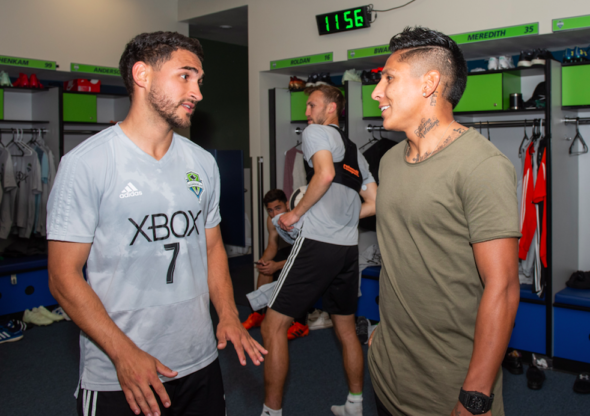 He spent the past two seasons playing in Mexico with Liga MX side Morelia, but won't be eligible to play with Seattle until after MLS's secondary transfer window opens July 10, meaning his first game won't be until July 15 against league-leading Atlanta. Since we won't know whether Seattle will host matches in the 2026 men's World Cup until probably 2020, it's a tad early to get lathered. What can be said with more certainty is if Seattle is one of the 10 chosen from a field of 17 competing U.S. cities, interested soccer fans should begin driving right away. They likely will make it by the opener. A milestone game between the Sounders and Timbers, No. 100 dating back to the primordial-ooze days of American soccer, turned into a millstone for the Seattle side. 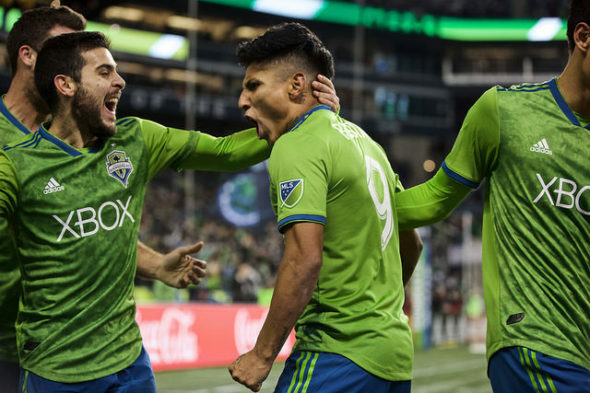 An easy 86th-minute goal by Sebastian Blanco, following the departure of a key Sounders defender to injury, not only accounted for Portland's 1-0 triumph, it kept the Sounders (2-5-2) in last place in the Western Conference. For those who weren't playing attention, the MLS had its annual day off a while back. 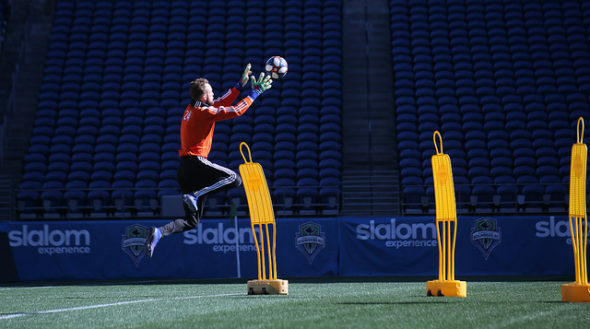 Nevertheless, it's easy to tell the new season is here: The Sounders are dorking around. Reversal of fortunes is a phenomenon to which most can relate. 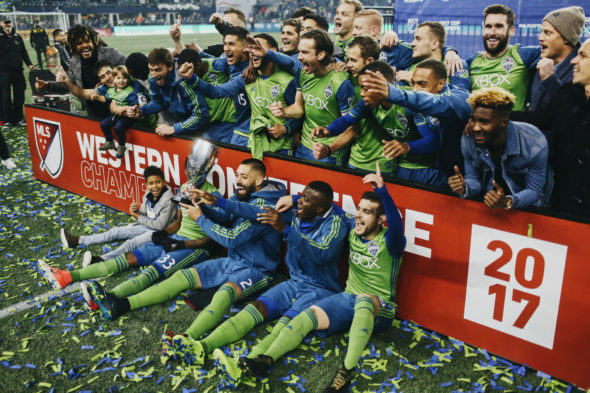 None can relate more than the Seattle Sounders, who 364 days after defeating Toronto FC on penalty kicks at BMO Field in the 2016 MLS Cup, were soundly beaten on the same field by the same team for the same trophy. 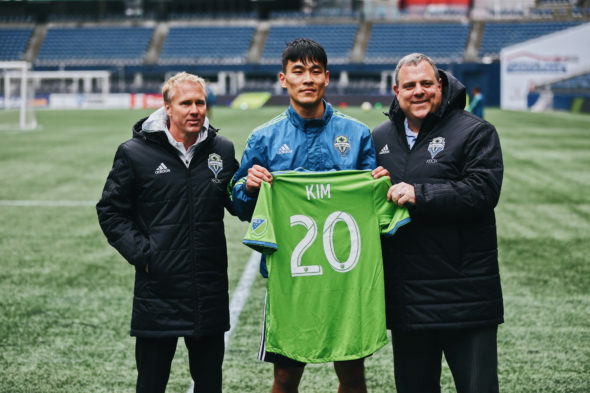 The Seattle Sounders went through their annual media day at CenturyLink Field Wednesday, demonstrating through discourse and action that the club still seeks for 2018 to be one of the most visible clubs in the world. 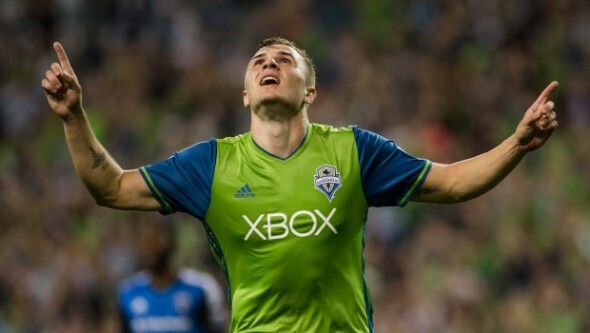 Sounders striker Jordan Morris will miss the entire 2018 season after tearing the ACL in his right knee during a CONCACAF Champions League game Thursday in El Salvador. 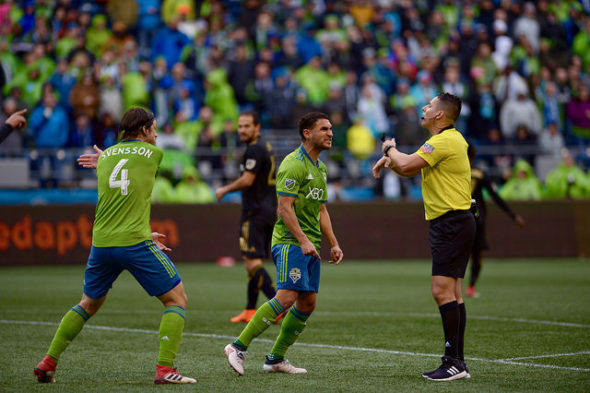 The injury occurred in the 85th minute of Seattle's 2-1 loss to Santa Tecla FC. Morris' father, team doctor Michael Morris, made the ACL tear diagnosis immediately. 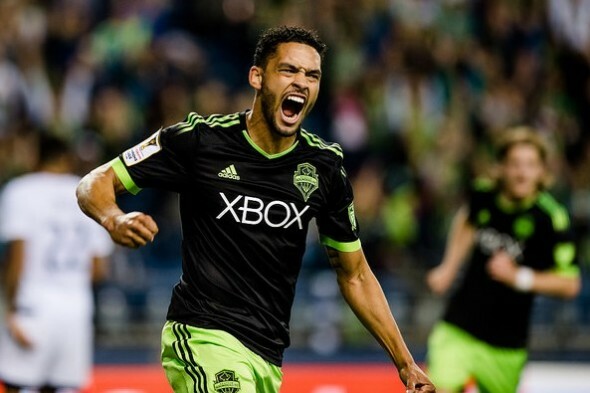 The Sounders Tuesday signed MF/F Lamar Neagle of Federal Way and goalkeeper Calle Brown to contracts for the 2018 season, which gets underway Thursday in El Salvador against Santa Tecla FC in the first leg of the CONCACAF Champions League. Neagle, the No. 4 goal scorer in franchise history, is returning for his seventh season. The Sounders Tuesday signed midfielder Alex Roldan and defender Jordan McCrary to the club's first-team roster. 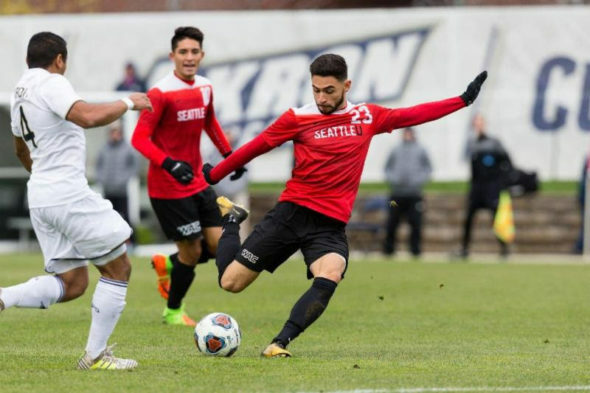 The Sounders selected Roldan, younger brother of midfielder Cristian Roldan, with the 22nd overall pick in the 2018 MLS SuperDraft out of Seattle University, while McCrary joins the club following a successful preseason trial after playing the 2017 season with Toronto FC II. 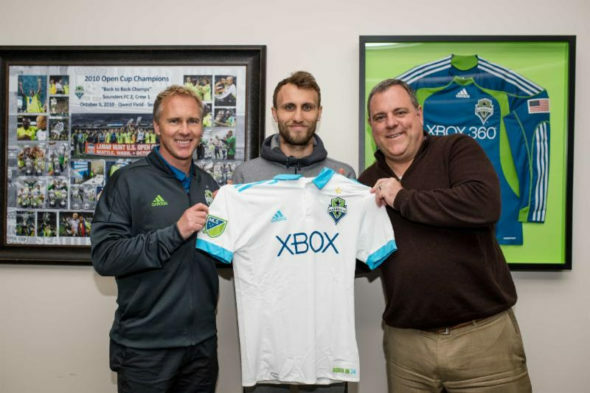 The Sounders Tuesday signed midfielder Magnus Wolff Eikrem, a 27-year-old Norwegian international who comes to Seattle after nine professional years in Europe, in which he was a part of four league titles, including Allsvenskan championships the past two seasons with Swedish side Malmö FF. 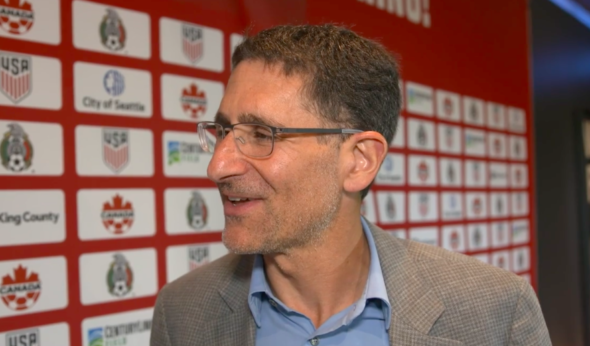 The Sounders Friday selected two players on the first day of the 2018 MLS SuperDraft at the Philadelphia Convention center, taking Seattle University midfielder Alex Roldan -- younger brother of Sounders midfielder Cristian Roldan -- with the 22nd pick in the first round and Duke defender Markus Fjortoft with the 22nd choice of the second round (45th overall).